We had another snowstorm last night. The office was closed today and I haven’t left the house at all, except to let Ziggy out. Since he loves the snow so much, I tried to take him for a walk, but it was way too cold! 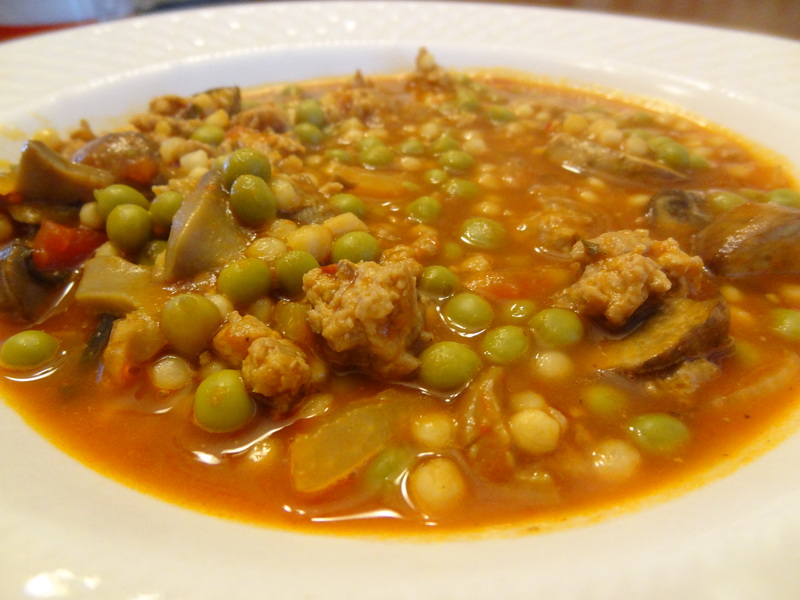 With the cold weather comes awesome comfort food. 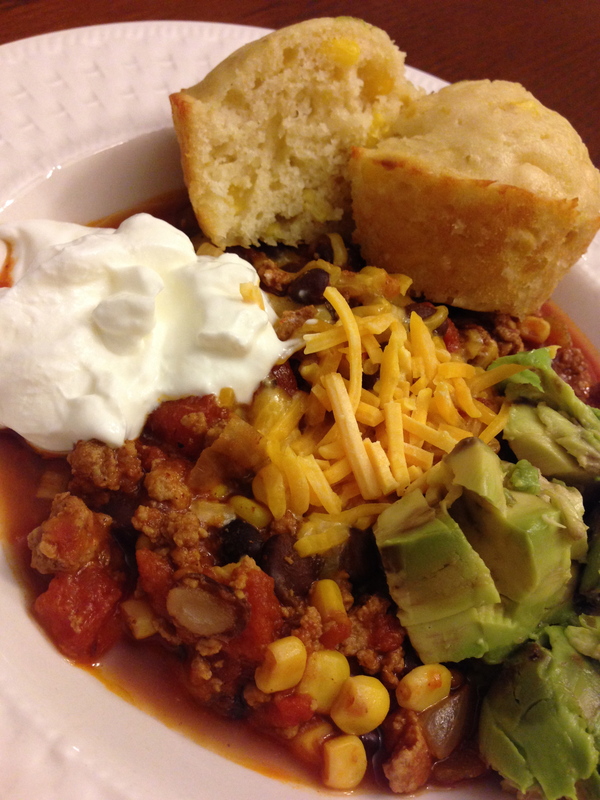 We had turkey chili tonight with homemade cornbread. 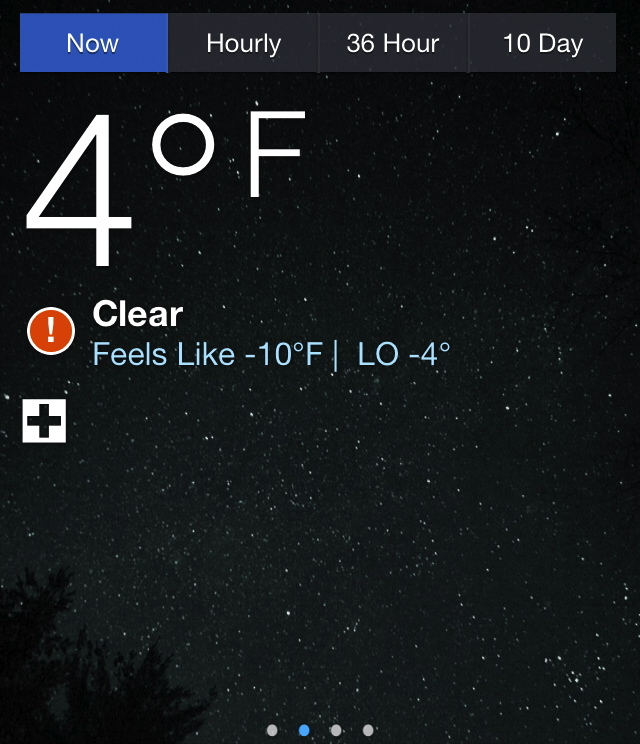 Really perfect for 4 degree (F) weather. In a large pot over medium high heat, drizzle olive oil. Add onions and garlic and saute until golden. Add ground turkey, cook and stir until brown and crumbly. Add seasonings (chili powder, red pepper flakes, paprika, cayenne pepper, cumin, sea salt, black pepper) and mix well. Add green pepper, tomato paste, canned tomatoes, corn, and black pepper. Mix well and let simmer for 2 hours. Stir occasionally and add in additional seasonings to your liking (e.g. more red pepper flakes for more spiciness). Serve with cornbread and optional toppings. In a mixing bowl, add corn, milk, eggs, butter, and sugar. Mix well. Add in baking powder and flour, mix until combined. Spray a muffin tin with nonstick spray and fill with batter. Bake for 20 minutes, or until cooked through (toothpick test). First big snowstorm of the season! Snowfall started early this morning and is forecasted to continue all day and through the night. As much as I hate shoveling and dealing with the snow (such as getting to work on a snowy day), there’s just something so amazing about the peacefulness of the snowfall; the lack of vehicles on the road, everything wrapped in the pristine snow, snowflakes flying everywhere and landing on your coat for a millisecond before it melts away… Moments like these make me never want to leave the northeast. Of course, a snow day means staying in the house all day. So, what do I do to keep busy in between my shoveling duties? I’m sure the answer is pretty clear (just in case you can’t guess, it’s to cook!). I’ve been in a soup mood ever since the temperature has constantly been below 30 degrees. I really wanted to make a roasted tomato basil soup over the weekend, but didn’t get a chance to get to the grocery store. With no fresh or canned tomatoes on hand, I had to improvise a bit. In a large pot, over medium high heat, add one teaspoon of olive oil, shallots, and garlic. Cook for about a minute, until golden brown. Add ground turkey and saute for a few minutes, until cooked through. Add vegetables. Pour in marinara sauce and chicken broth. Mix with other ingredients and turn the heat to low. Toss in israeli couscous, red pepper flakes, basil leaves, and season with sea salt and black pepper. Mix well. Let simmer for 20 minutes (or until the israeli couscous is cooked). Not yo Mama’s Meatloaf or Mashed Potatoes! You know how you lick the cake batter from the spatula and bowl after baking? I did this with the spoon and food processor. The plate that I served the mashed cauliflower looked clean and never used after dinner. We literally licked the plate clean. It’s such a simple recipe; you just need to try it for yourself. Trust me. I’m about to say something that I never thought I’d say in my entire life…. 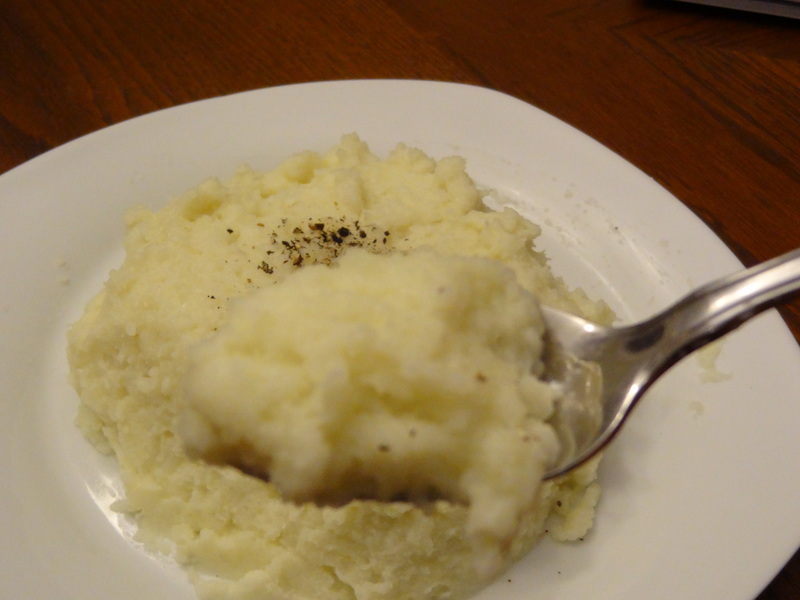 I think I might actually be able to give up mashed potatoes for the rest of my life, as long as I can have my mashed cauliflower. 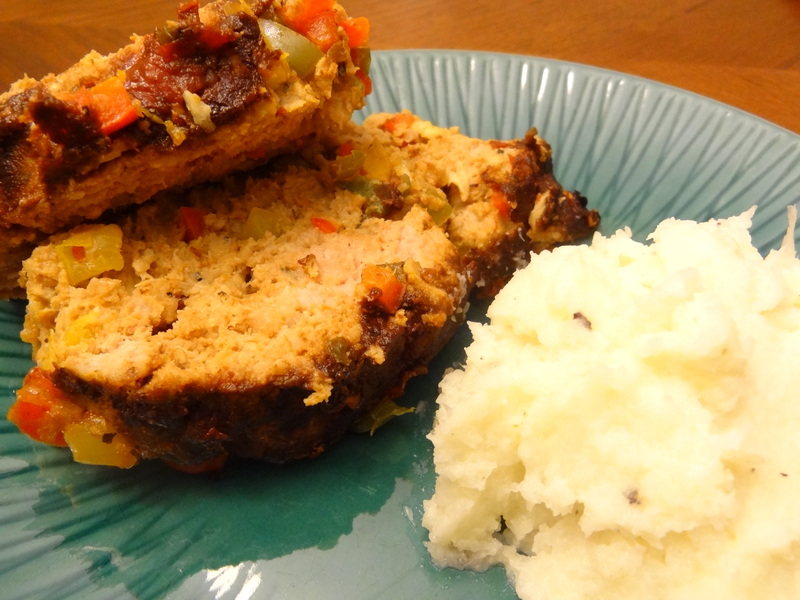 Tonight, I decided to make a juicy ground turkey meatloaf (not Paleo) to serve with the mashed cauliflower. 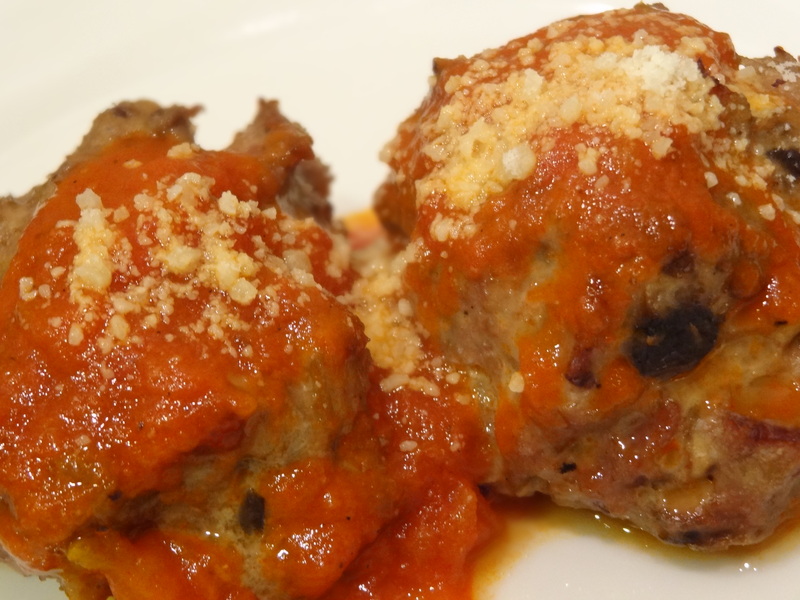 I used Bobby Flay’s recipe as a baseline and made a few tweaks here and there, mainly because I didn’t have some of the ingredients on hand. Preheat oven to 425 degrees (F). In a large skillet over medium to high heat, drizzle olive oil and add bell peppers, garlic, and a few pinches of red pepper flakes. Season with sea salt and black pepper. Cook until the vegetables are tender, for about 5 minutes. Remove from heat to cool. In a large mixing bowl, whisk the egg and fresh thyme. Add the ground turkey, Panko, Parmesan cheese, 1/2 cup of tomato sauce, 2 tablespoons of balsamic vinegar, and the cooled vegetables. Mix well. Place the mixture into a loaf pan. In a separate bowl, mix the remaining 1/4 cup of tomato sauce, 1/4 cup of balsamic vinegar, and a few pinches of red pepper flakes (adjust to your liking based on spiciness!). Pour the mixture over the entire loaf. Bake for 1 hour. Remove from oven and let rest for 10 minutes before slicing. 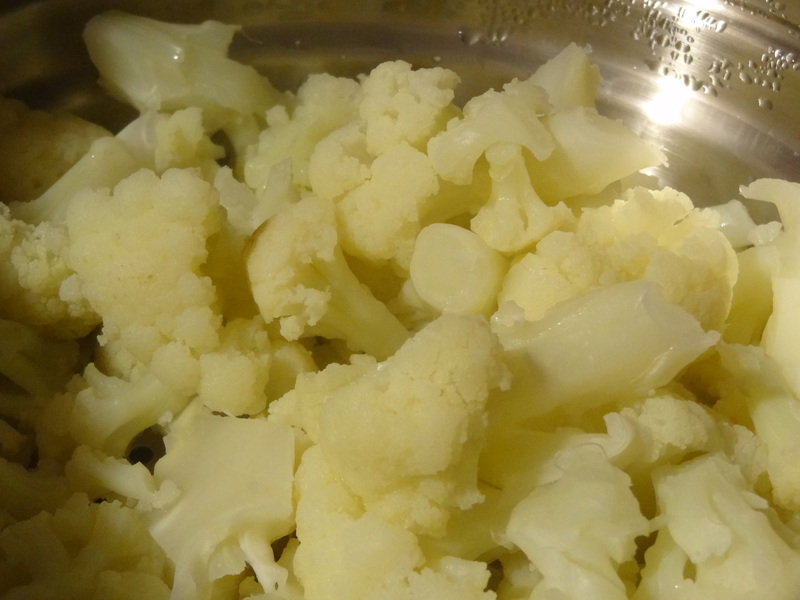 Steam cauliflower, sliced garlic cloves, and sea salt, about 15 minutes. 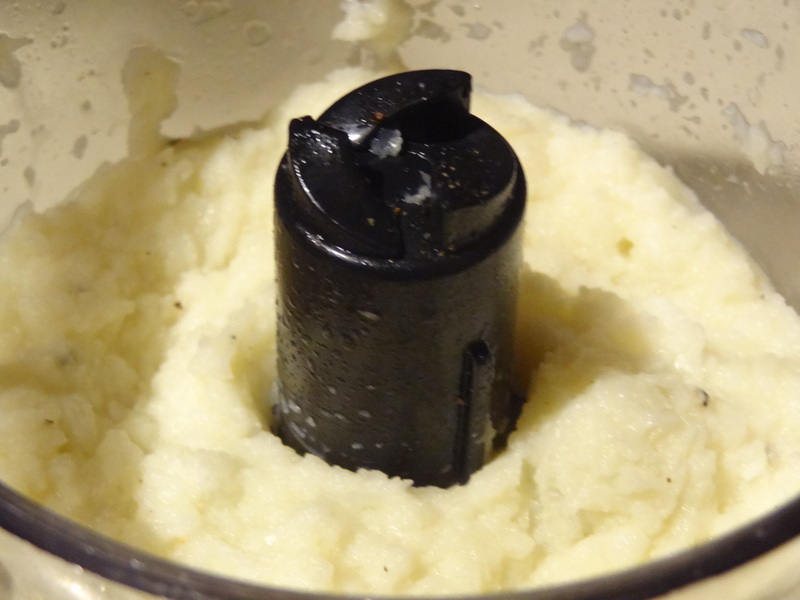 Place into a food processor. Add fresh ground black pepper and grass-fed butter. Puree until a nice and creamy texture is achieved.